We’ve reviewed the survey results, and have identified your four major priority areas for a #BetterMac. 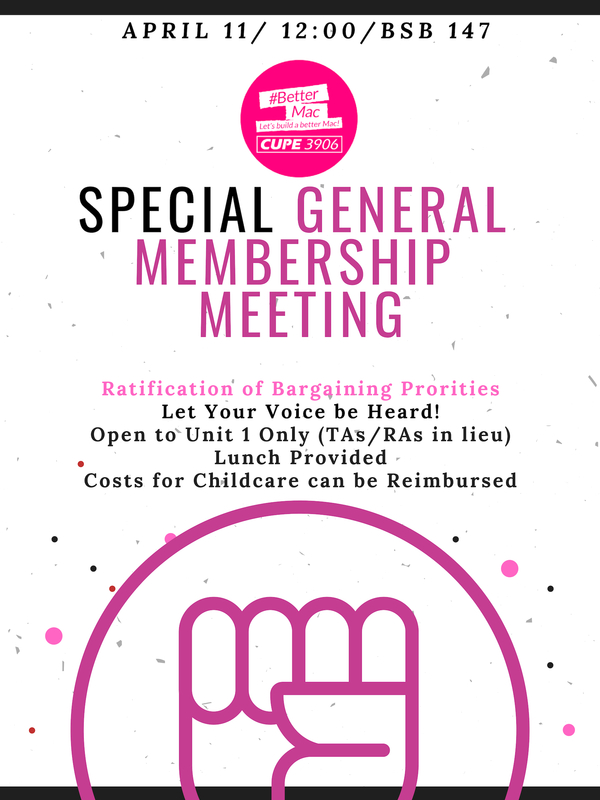 Our next step is to vote and give our bargaining team the mandate they need to move forward in negotiations. 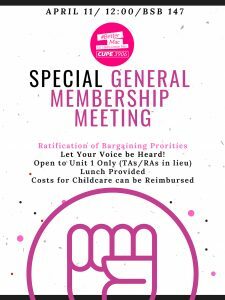 Please join us for a very important membership meeting on April 11 at noon in BSB 147 to ratify your major priority areas.